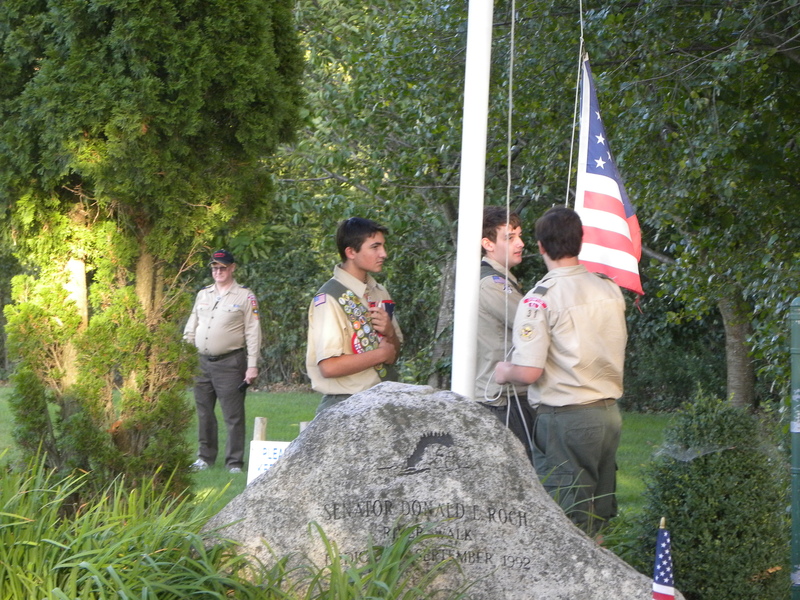 ..The Rhode Island JCS Alumni Association along with the Members of area Veterans’ Council, Scouts, Cadets & Dedicated Volunteers, will humbly host and conduct a modest remembrance Ceremony marking the seventeenth (17th) anniversary of those lost lives, survivors and our local heroes in the tragic events of September 11, 2001. 110 Hay Street in W. Warwick, RI 02893. If you’d like to sing, recite or convey pertinent thoughts or participate in any way, please do! Previous Corn Maze for a Cause Opening Tomorrow! Next Savor East Greenwich Kick-Off Party!